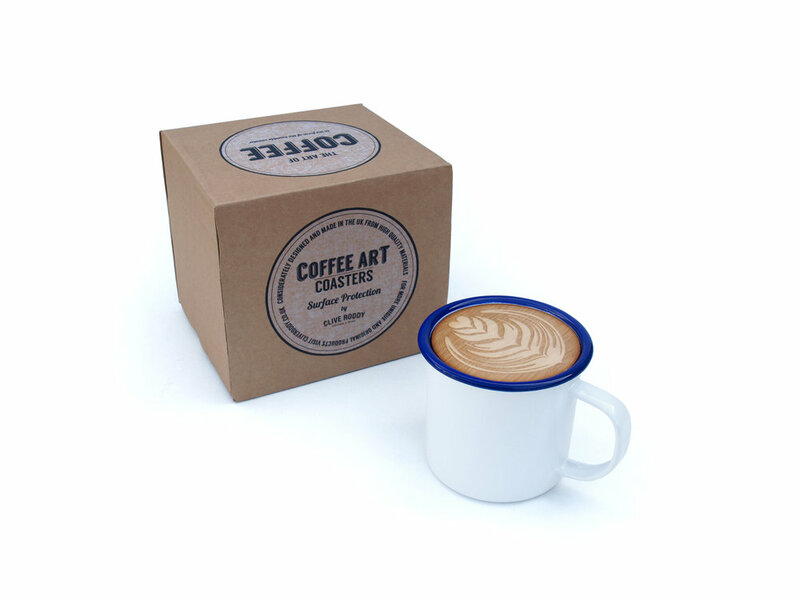 Coffee Art Coasters are designed as a useful set of surface protectors, cunningly disguised as an abstract adaptation of a freshly made barista style coffee. 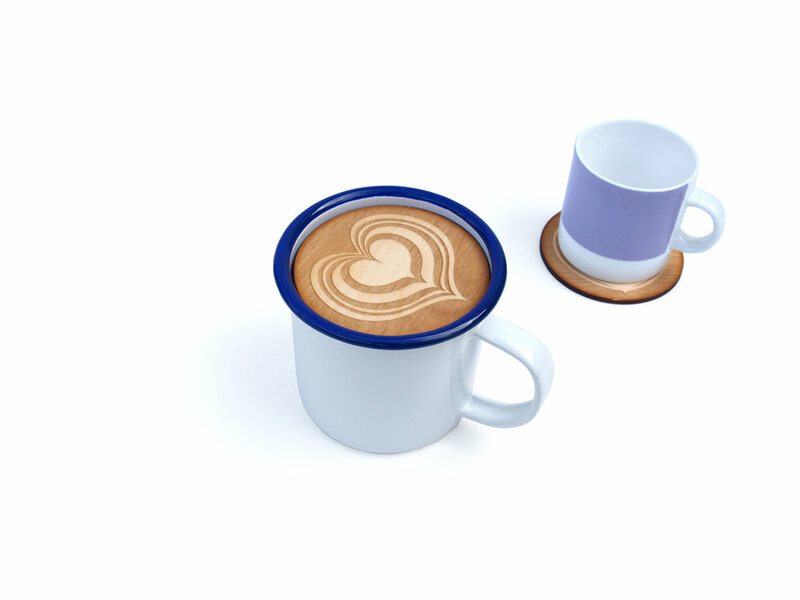 Each coaster set is comprised of 6 laser-etched, cut and oiled birch plywood coasters, concealed within a durable enamel mug. 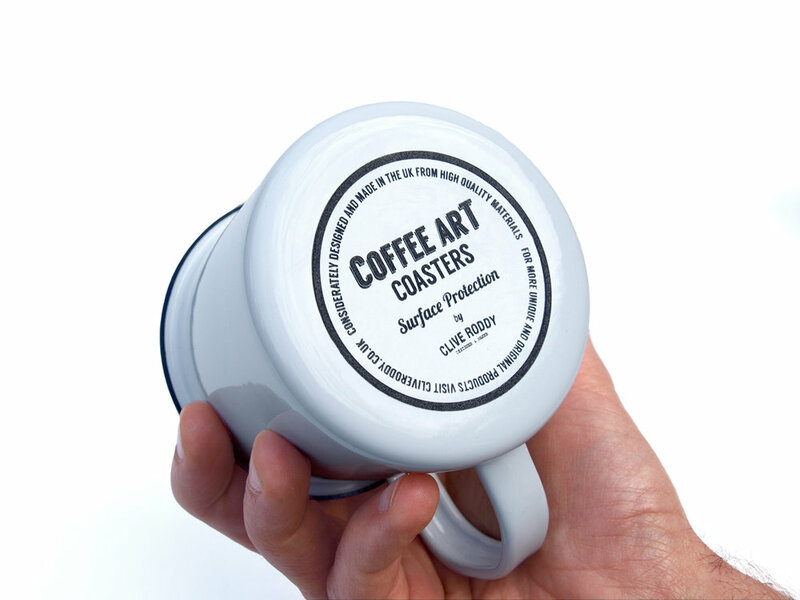 There is also internal storage space for sugar etc under the coasters and each mug has a laser-etched branded bottom. 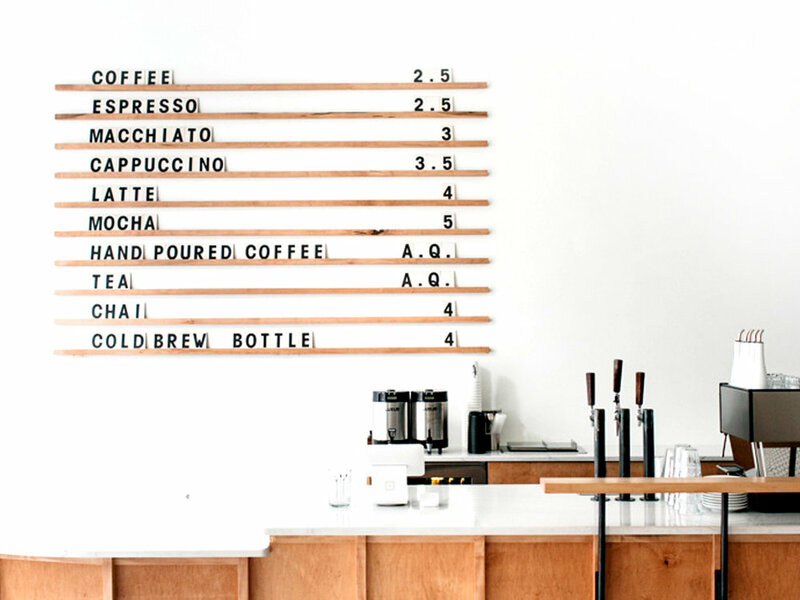 Coffee art designs have been carefully selected to pay homage to the more common and also complex foam-wizardry that an accomplished barista can create. 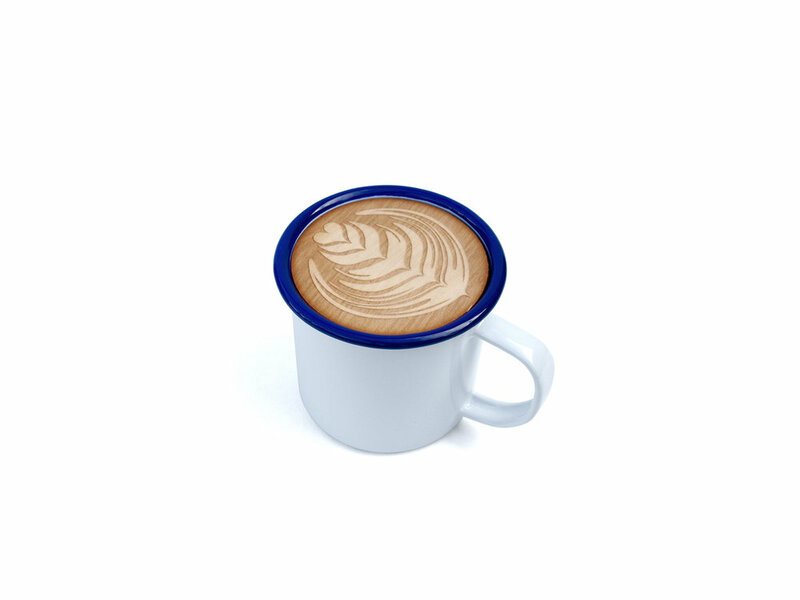 Celebrate the alluring appeal of a considerately made coffee with this functional product that will look great on any coffee table.